I’M SURE GLAD IT’S OVER! by an ANXIOUS Husband!! PAM NURNBERGER CELEBRATES WITH FRIENDS ON REACHING 200 POINTS! As a Husband, I’m glad it’s over!! Do U know what it’s like living with ‘Anxiety!’ After talking to Earl Ball earlier about his ‘stressful’ journey to 1000 points, I can relate to it as a spouse. 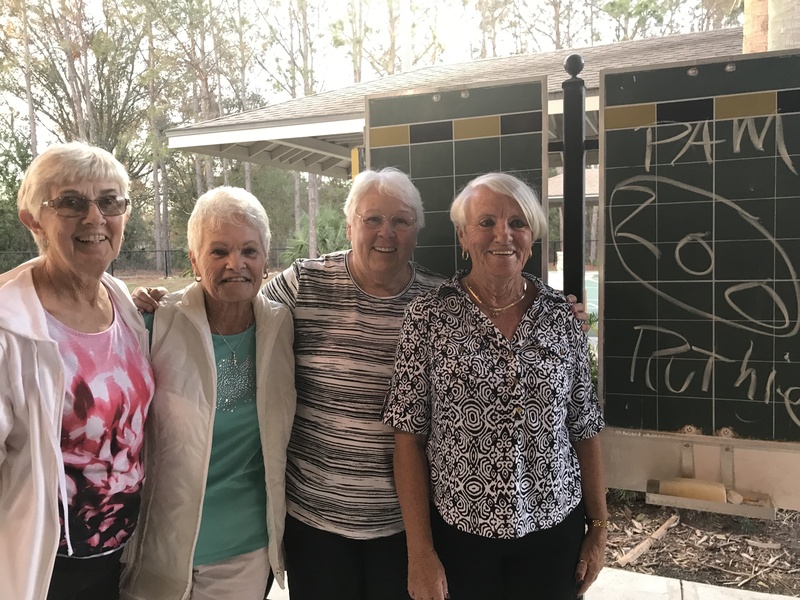 But as we all know the journey is worth it as for many of us, our ‘Florida’ life revolves around the world of Shuffleboard and all the ‘Friends’ we make along the way. Pam wishes to extend a heartfelt thx to all who have helped her. She now looks forward to the HOF Indoctrination next year at Clearwater. 3 Responses to I’M SURE GLAD IT’S OVER! by an ANXIOUS Husband!! Congratulations on hitting 200 points – so exciting! Glad we got to see your game in action when we last visited! Now can you teach Dad a few skills so he can get there too?! Haha. Congratulations on an amazing achievement. Maureen Bryan. Congratulations Pam in l am sure was a goal on the horizon..You have reached a level that is so amazing! You must be so proud! Sending big hugs! …Pam C.